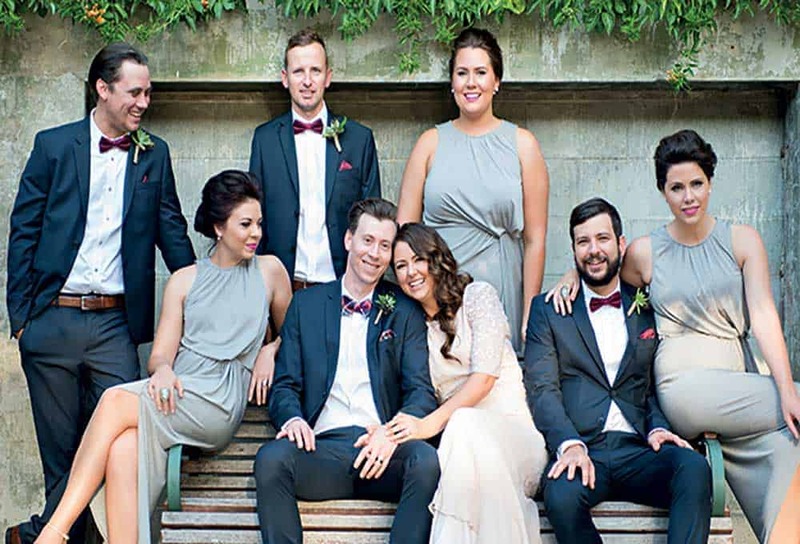 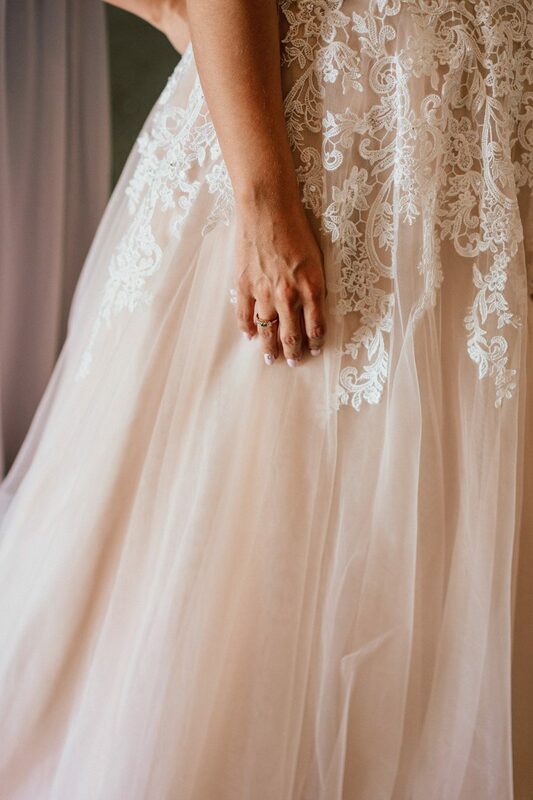 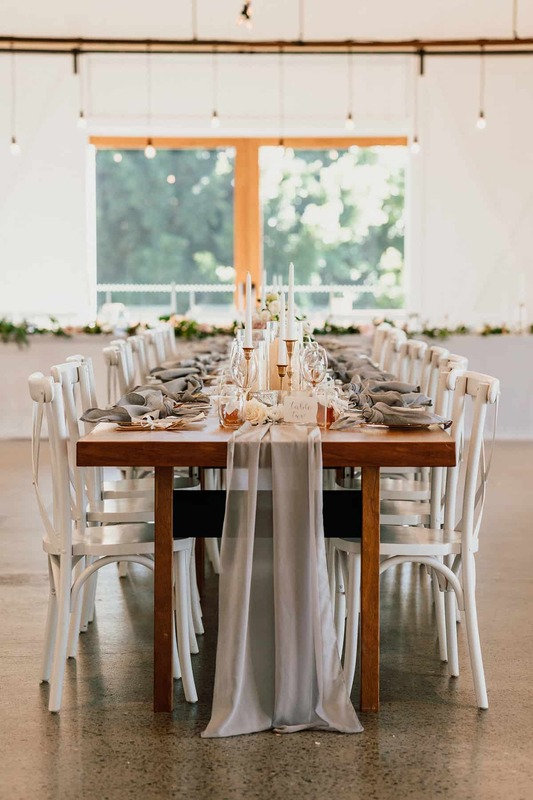 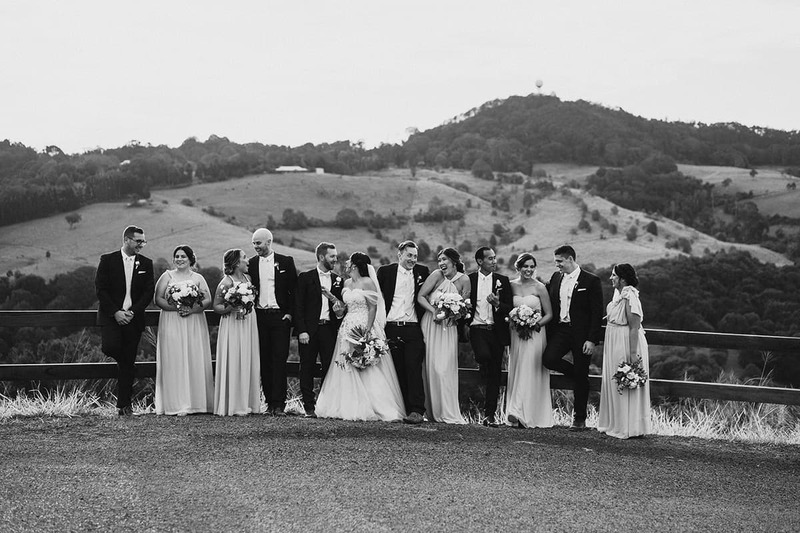 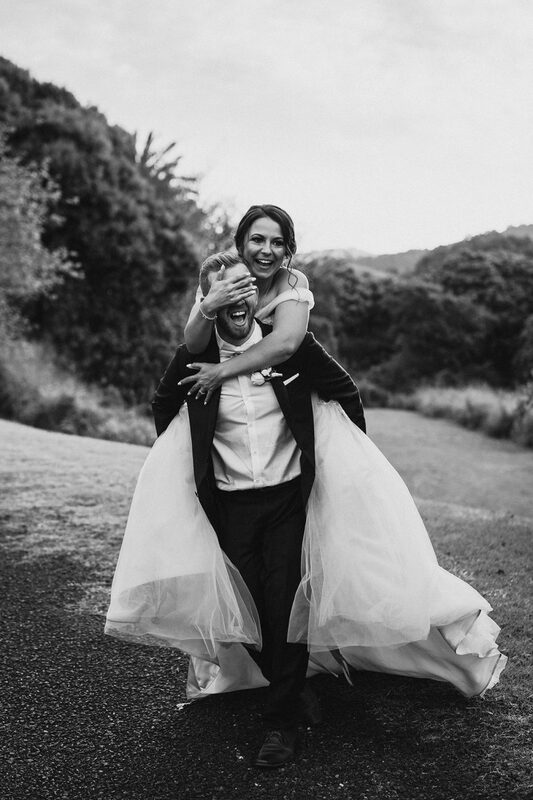 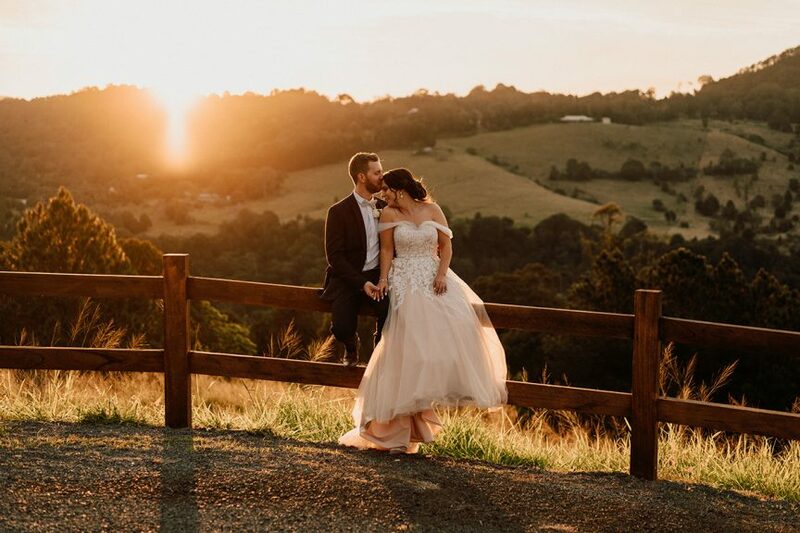 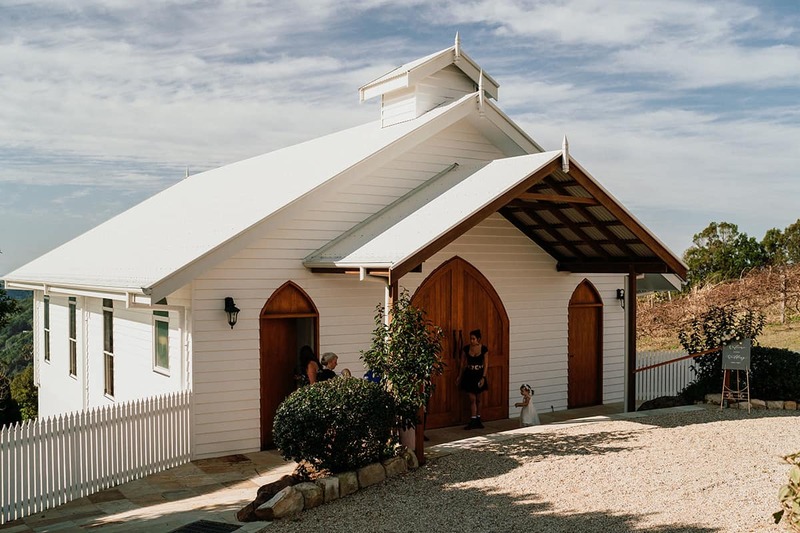 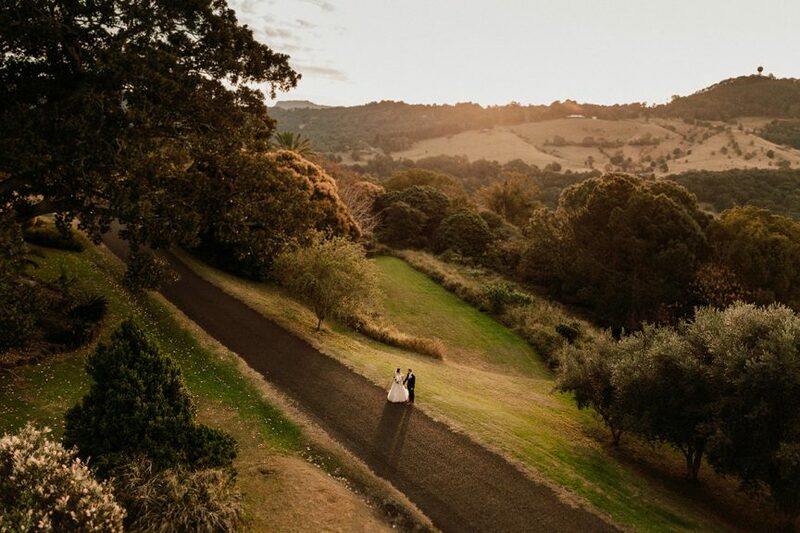 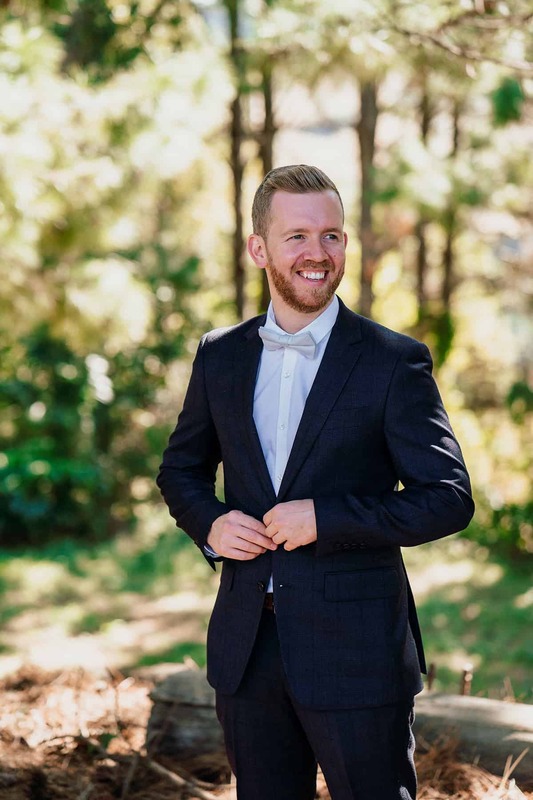 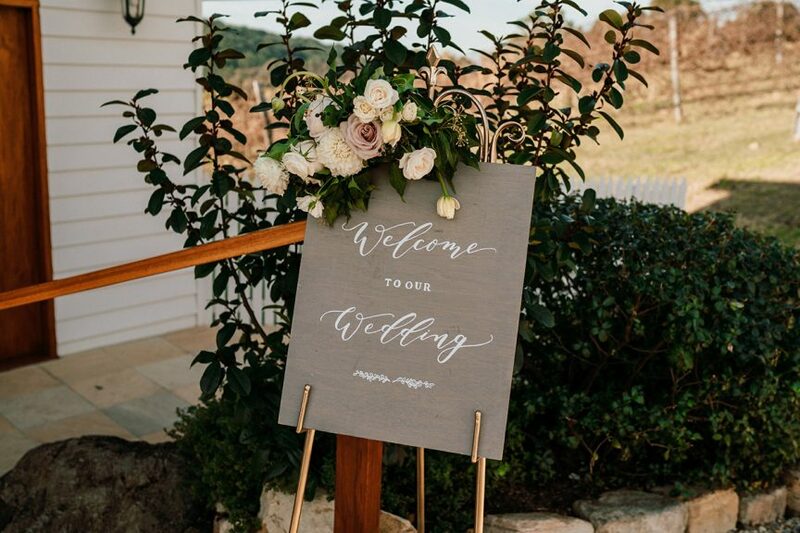 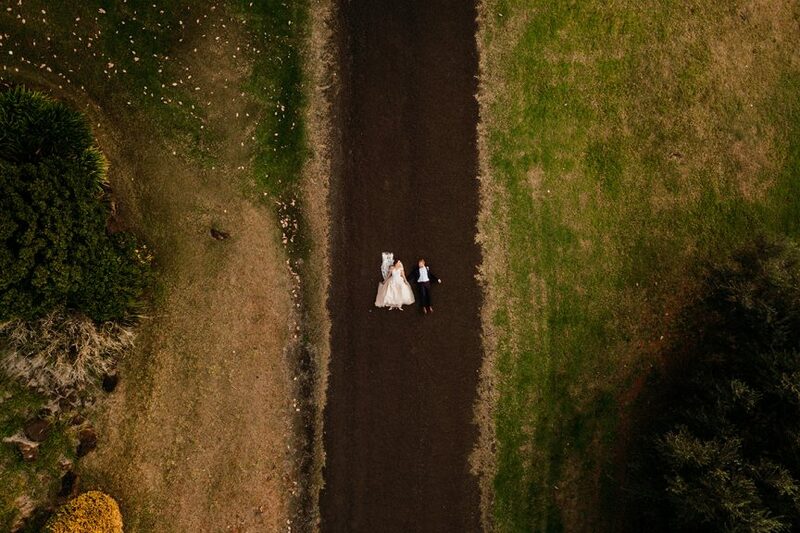 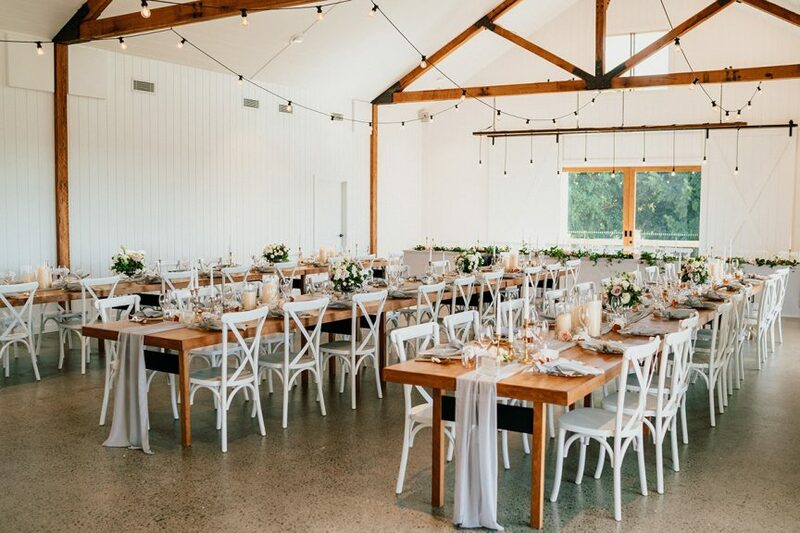 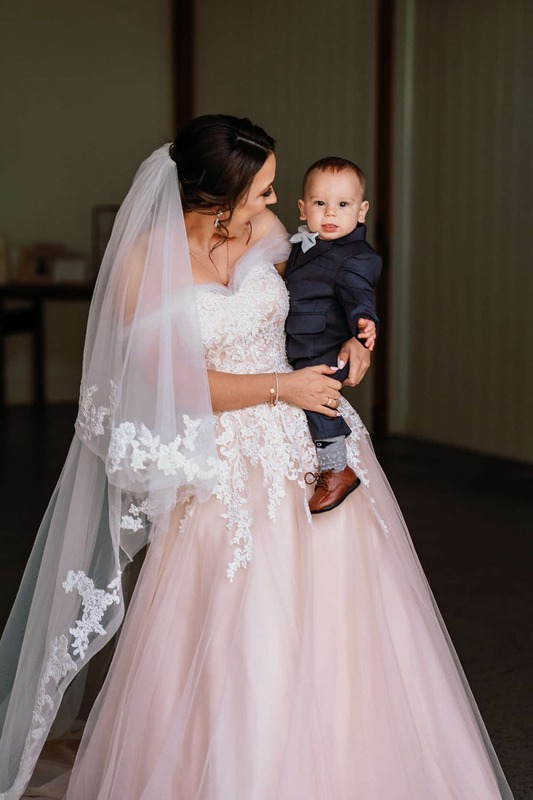 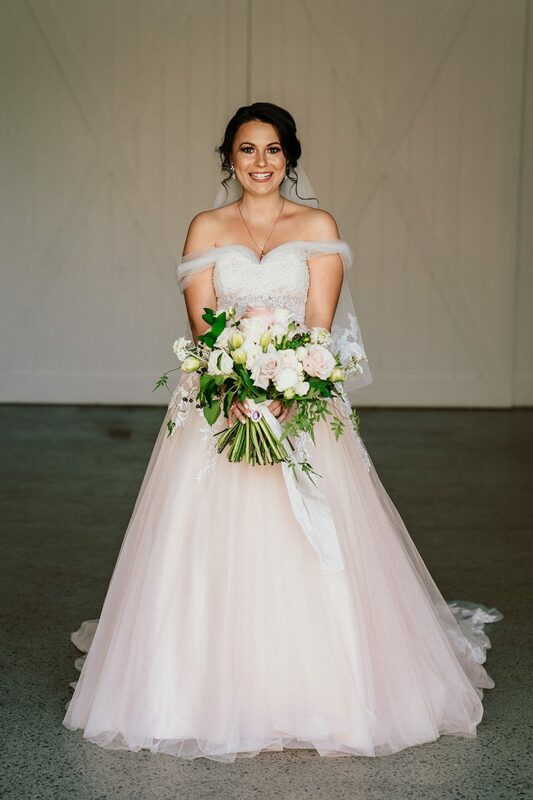 This gorgeous northern NSW wedding is full of heart – just what we love to see, here at QB! 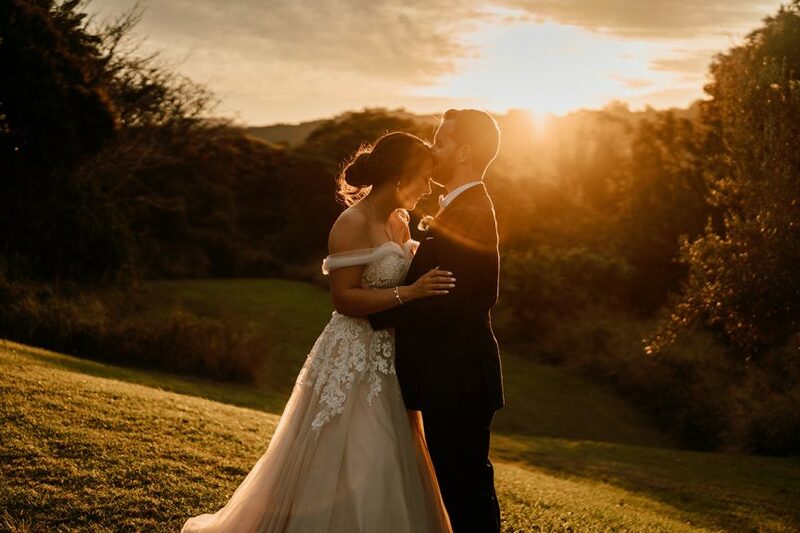 With a clear vision of what they wanted for their special day, Larissa and Ricky spent three years planning their dream celebration. 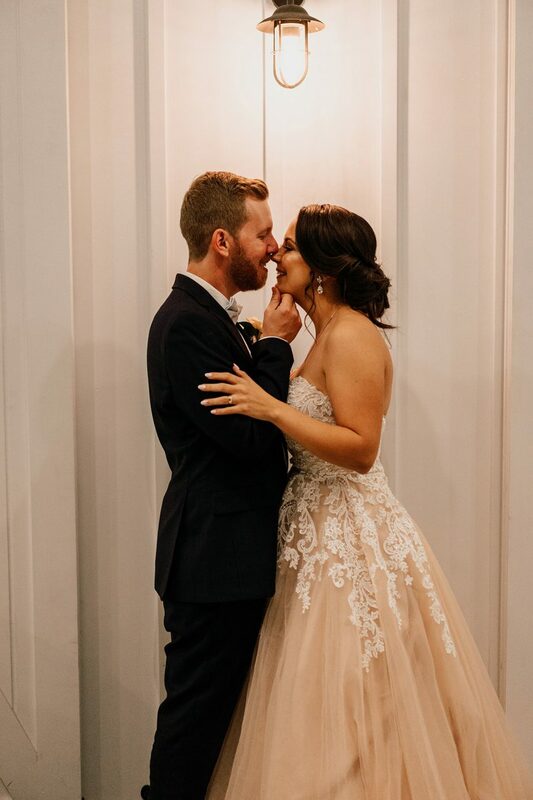 And boy, it paid off! 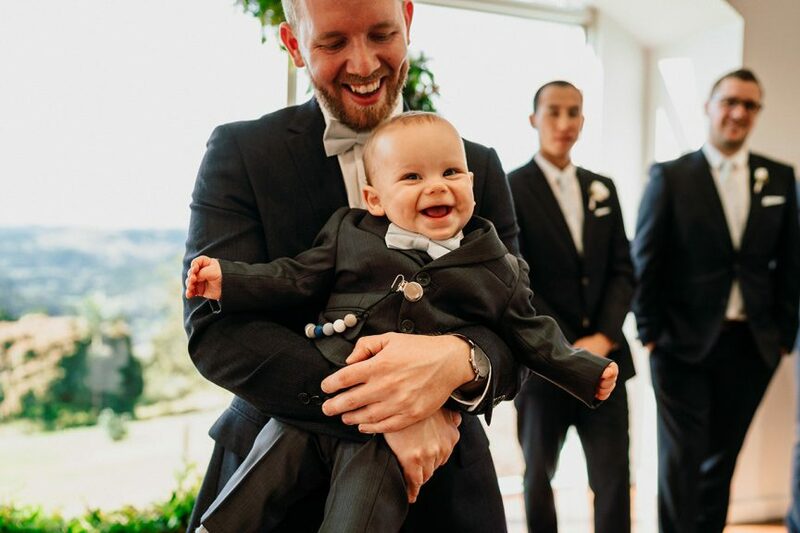 Gathering loved ones (including their super-cute son, Archie!) 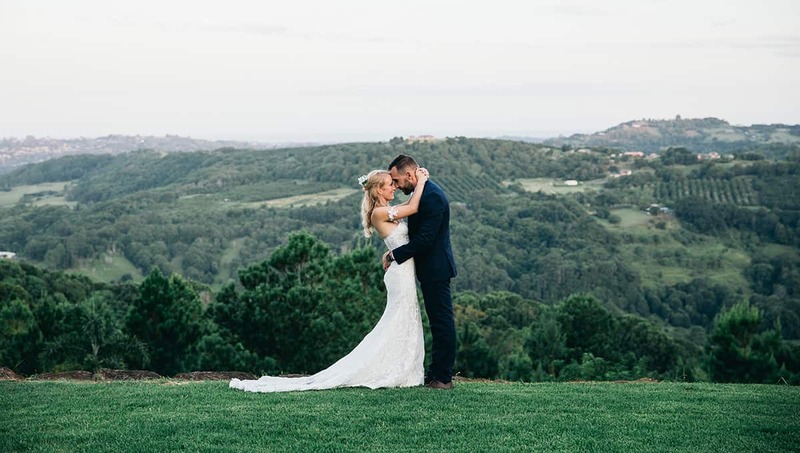 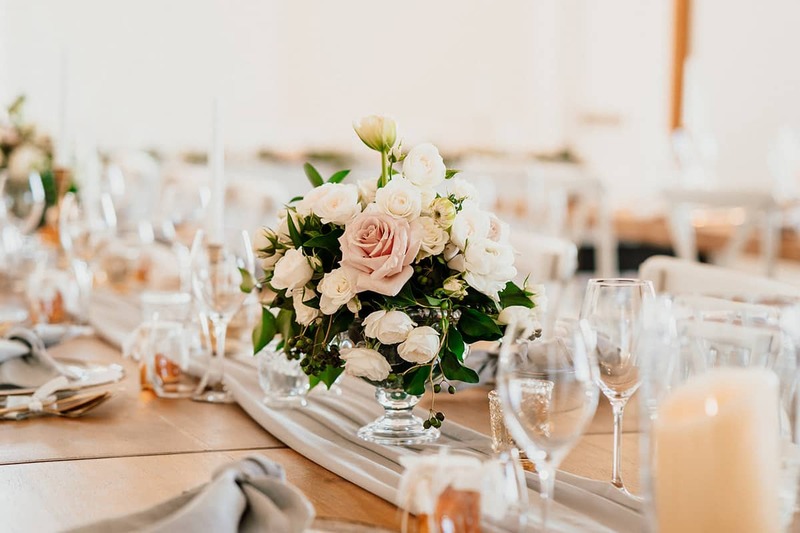 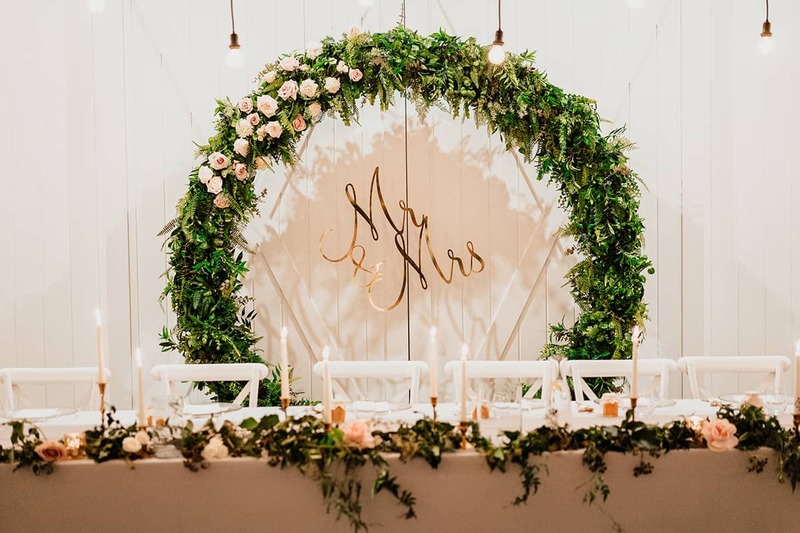 at the picturesque Summergrove Estate, the two brought to life a wedding with all of their favourite things. 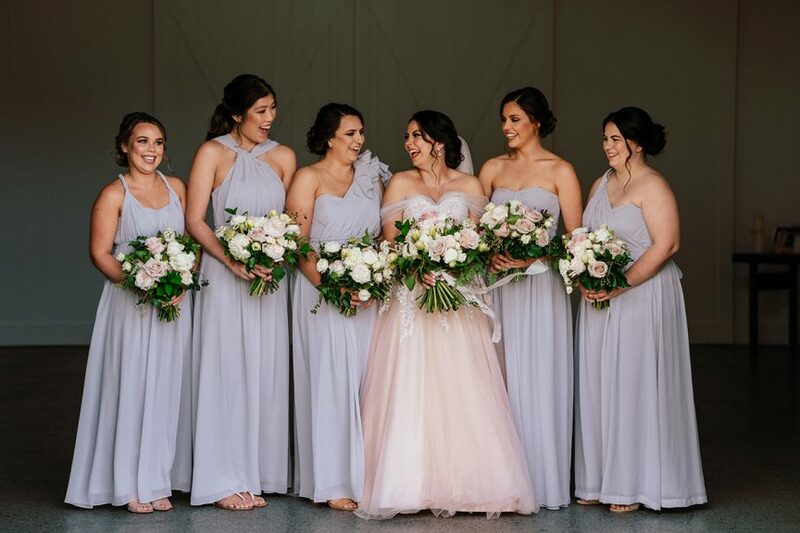 “We focused it all on our best friends, closest family, doughnuts, great music and lots of beautiful flowers,” explains Larissa. 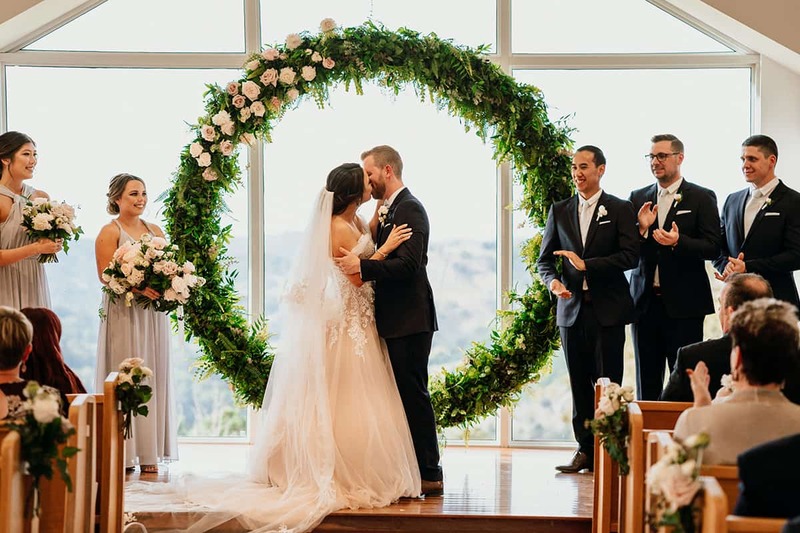 It all made for a magical day, creating a joy-filled atmosphere for the couple’s heartfelt chapel ceremony. 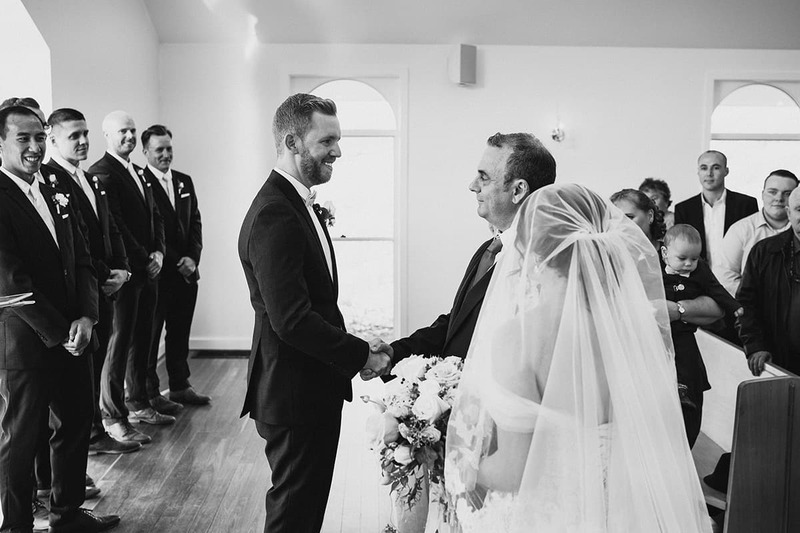 “When the doors opened and I got to see Ricky for the very first time, it was like no one else was in the room and we could not wipe the smiles off our faces!” Aw, so sweet! 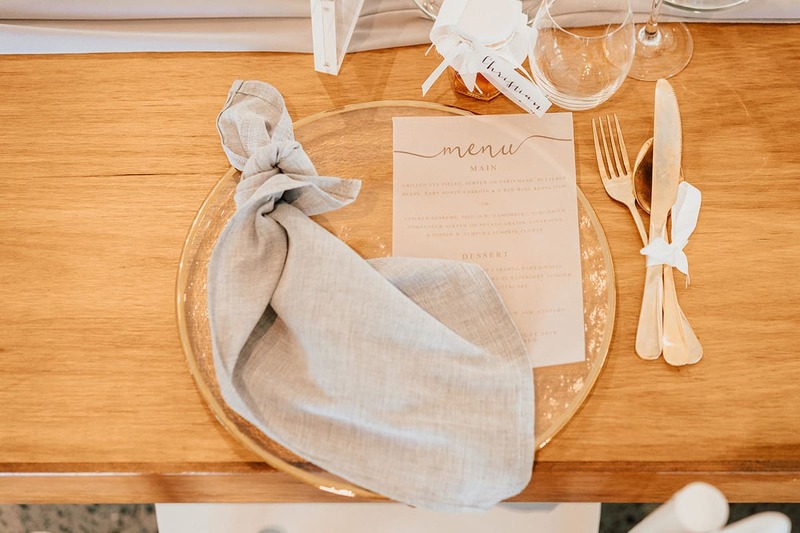 Tucking into delicious fare, Larissa and Ricky then treated friends and family to a very special surprise. “We actually took dancing lessons for the eight weeks leading up to our wedding,” says Larissa. 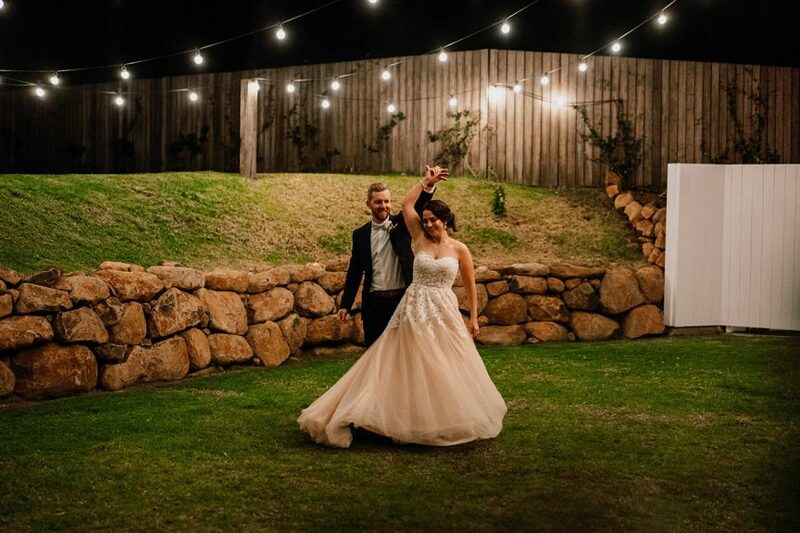 “Our first dance got plenty of cheers from our guests!” It was enough to inspire everyone to get up on the dance-floor, with guests dancing the night away until closing time – there also may or may not have been an epic joint ‘worm’ dance-off towards the end of the night! 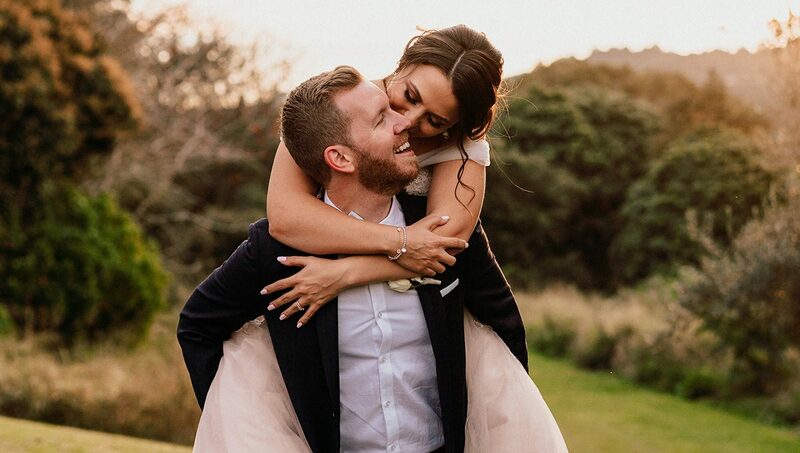 Spoiling loved ones once again, the two sent everyone home with a favour straight from the heart. 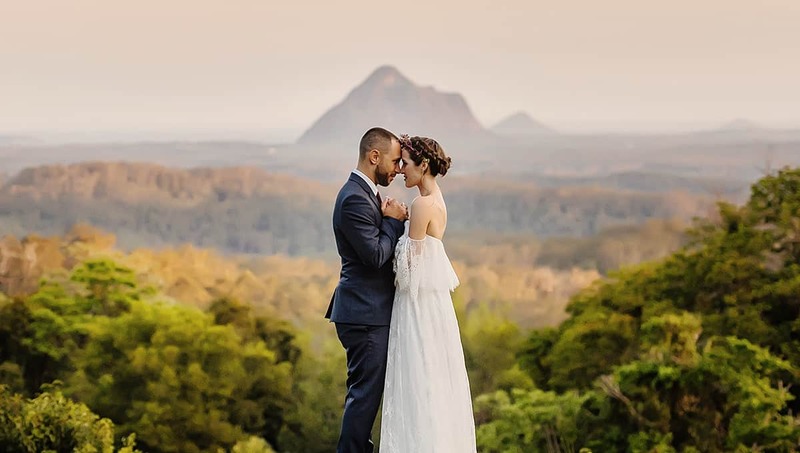 “Ricky sourced local honey from a Gold Coast supplier and went to their hives to hand-pour the honey jars a week before the wedding,” says Larissa. 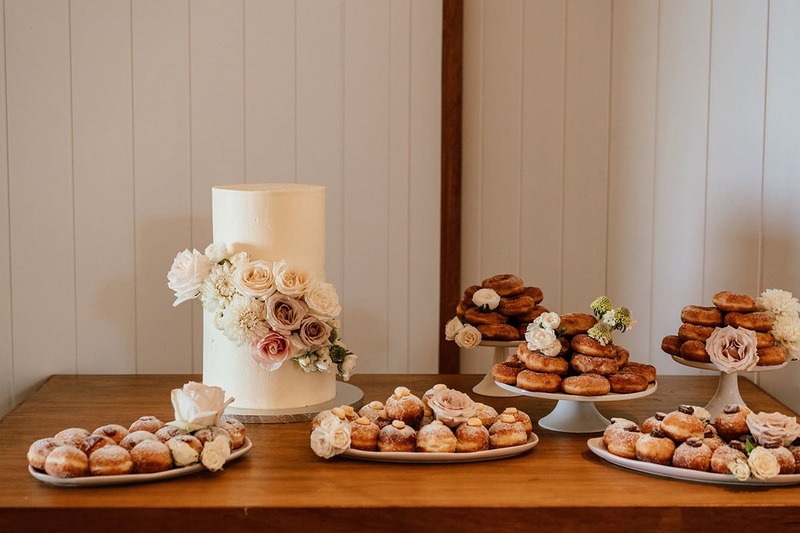 “They turned out fantastic!” Edible wedding favours get a big thumbs up from us. 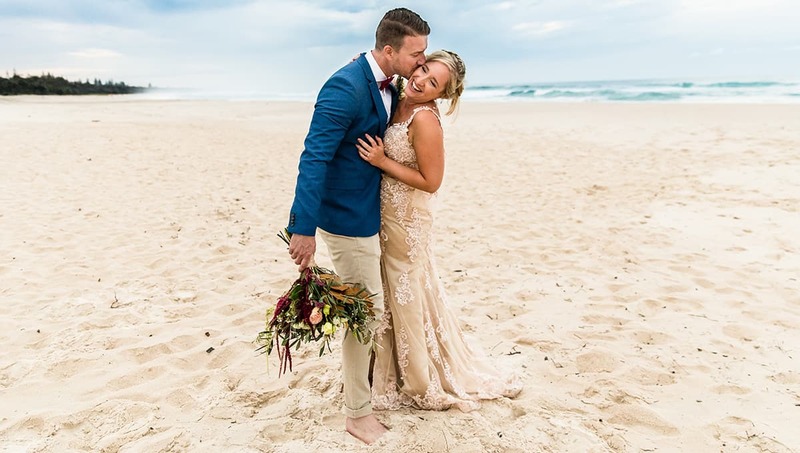 As seriously spectacular as the festivities were, Larissa and Ricky say one of their favourite moments was long after the confetti had settled. 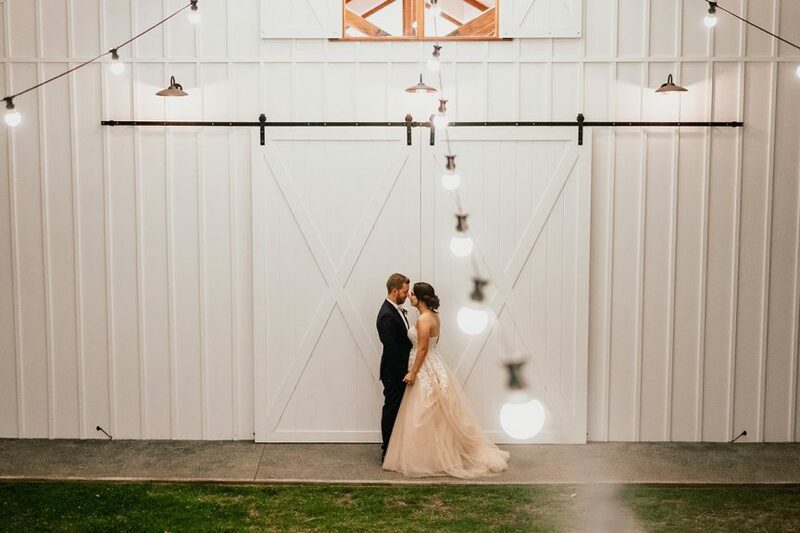 “We actually loved when everyone was leaving and we were the last ones left in the barn,” remembers Larissa. 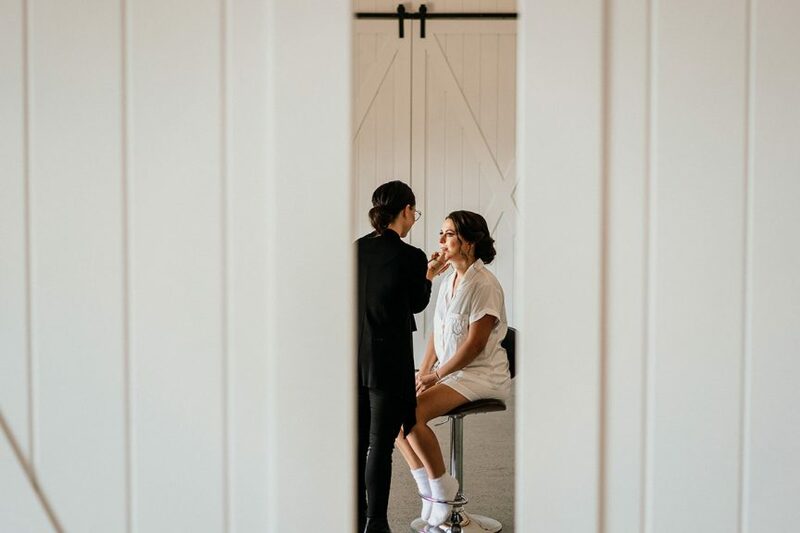 “The wedding coordinators drove us up to our villa and we sat together in the bathtub eating a doughnut that they saved for us and talked about how perfect the day was.” Dream day? 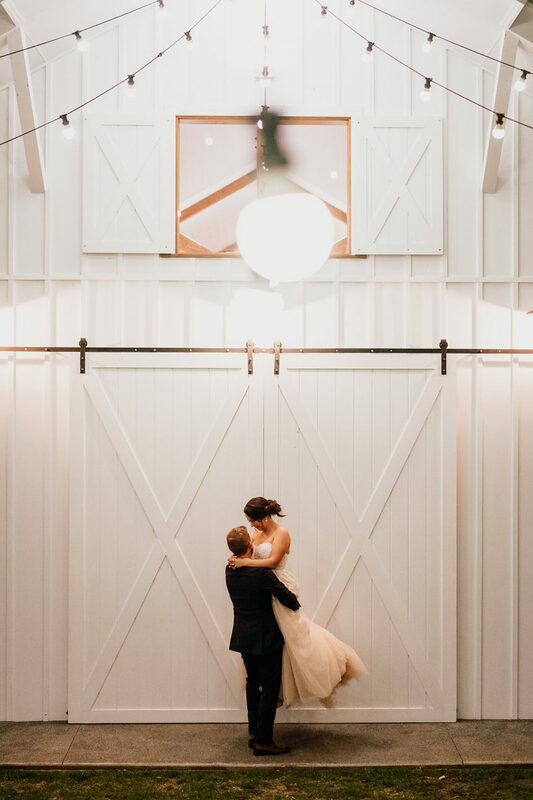 Tick.